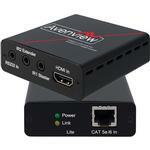 The HBT-C6POE-SP4 1X4 HDBaseT 4K30 HDMI CAT5/6/7 Distribution Amplifier (Splitter) with PoE, Bi-directional IR and Ethernet from Avenview. This quality made device was designed to extend 4K Ultra HD, 1080p Full HD, 3D video and multi-channel audio formats from one source to up to 4 Displays or Monitors. 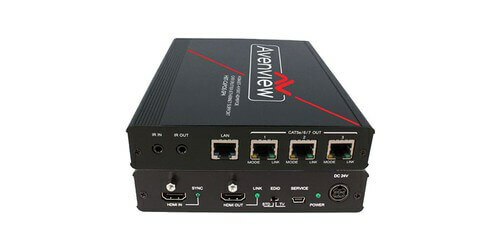 The distribution amplifier also has the ability to support PoE using power over the CAT cable to a compatible receiver, and can reach up to 100Mbps Ethernet speeds when connected to a router. 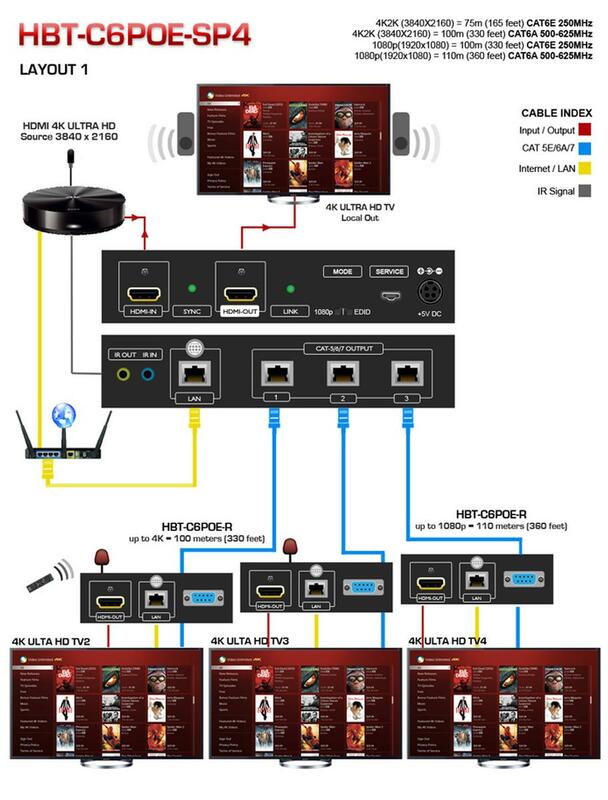 These two features were added to give users and installers a complete Splitter solution to keep pace with the newest trends in A/V to include, online streaming, network connected devices, and the latest demand in Smart TV, Ultra HD monitors and content. 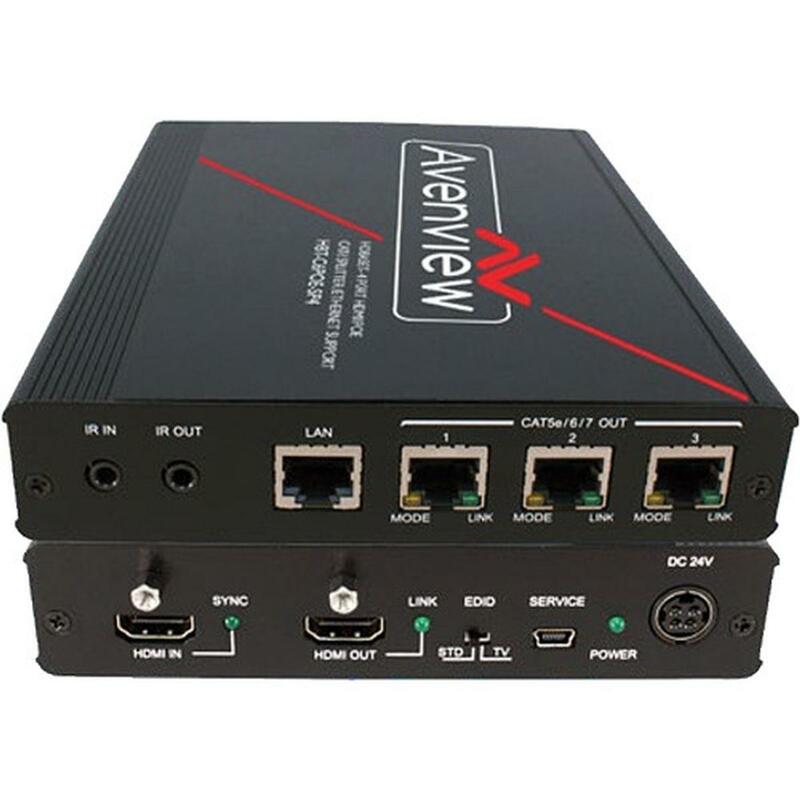 The unit equally has a built-in local output which allows the user/installer to extend via HDMI cable 35', to verify the signal output that is being displayed, and has three CATx ports that can extend the source signal up to 330' to connected receivers and HD monitors or displays. Additionally there is also support for bi-directional IR control of the source connected to the unit from the users IR remote control on the monitor side, making for a very user friendly control system. 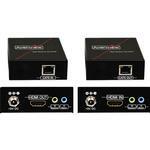 When needing to split an HDMI signal and send it to up to 4 different HD displays this HDBaseT distribution amplifier is the ideal choice in situations where longer cable runs to each display are required. Making this a perfect device to be used in places like convention centers, larger presentation scenarios, and installations. 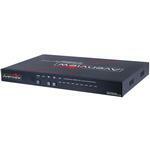 This model is also HDCP and EDID compliant to ensure that compatible encrypted and non encrypted content can be displayed properly with minimal handshake time. 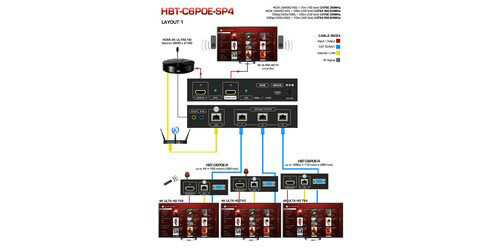 The Avenview HBT-C6POE-SP4 1X4 Splitter comes backed by a 3 year warranty and comes with an IR Receiver, IR Blaster, Power Supply, and Power Cord.